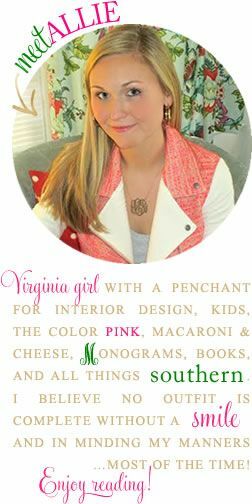 I am sad to report that I wasn't able to make it to Northern Virginia this past weekend. By the time I left school at 2:30, the snow had already begun to accumulate, roads were slick, and I even saw a car in the ditch. I didn't think it was worth the risk to drive on 95 (I hate 95 even in good weather), so AMF and I have rescheduled for a weekend in February. I was really bummed not to get to go, but at the same time, I was really worn out and a laid-back weekend at home did me a lot of good! Today, I'd like to share one of my passions with you: ZEBRA. I have ALWAYS loved zebra print. In fact, I remember begging my parents for a hideous zebra coat when I was in third grade. Picture cheap zebra fur complete with a hood and fake satin liner. It was bad. My parents resisted, but finally gave in. I thought I was HAWT! Looking back, I realize what a trashy fashion choice it was at a young age. Nowadays I'd like to think my taste in zebra has matured a bit. I especially enjoy it in home decor. I am amazed at how a pop of zebra can transform an ordinary, traditional room to one with pizzazz! 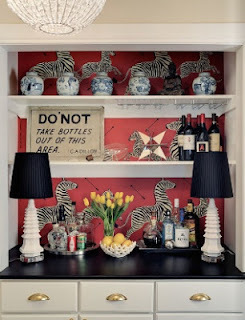 So without further adieu, get a little wild and enjoy some of my favorite zebra rooms. 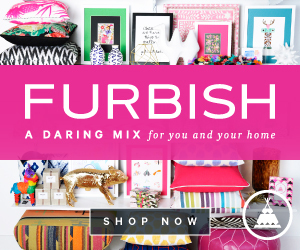 All can be found and sourced on my Pinterest Home Inspiration board! This is currently the cover for my Home Inspiration Board and I could not be more smitten with this little bar! Funky meets traditional in a big way here and I find it to be absolutely perfect! My favorite touch of zebra in a room is most definitely through a zebra skin rug. This basic foyer goes from boring to bold with the addition of the rug. Though traditional black&white zebra is my favorite, I'm not picky! I LOVE this blue wallpaper as a way to make laundry more bearable. A combination of my bamboo obsession and zebra obsession...can it be mine? This chair too! Love the feminine skirt! 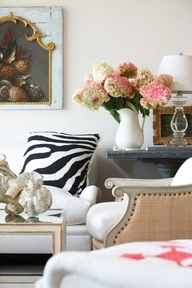 Zebra gives this romantic, frilly room a bit of edge! What a warm, inviting office! Though not my personal style, I love this black and white room with pops of zebra, pink, and blue! How awesome is this wall? I love the mix of prints, color, and textures! Isn't the zebra, mint, and red a great combination? 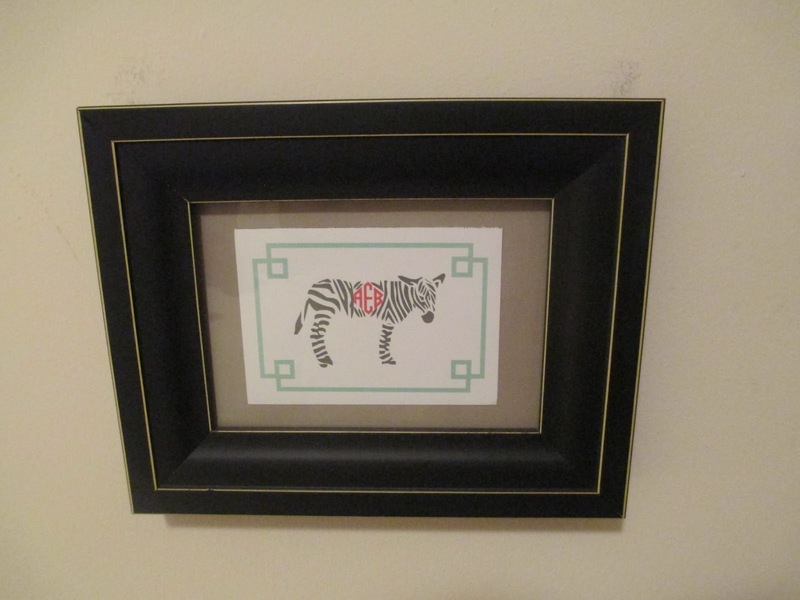 I wasn't thrilled with what was in that frame before and think the zebra is the perfect change! Are you a fan of zebra? Have you used it in your home? 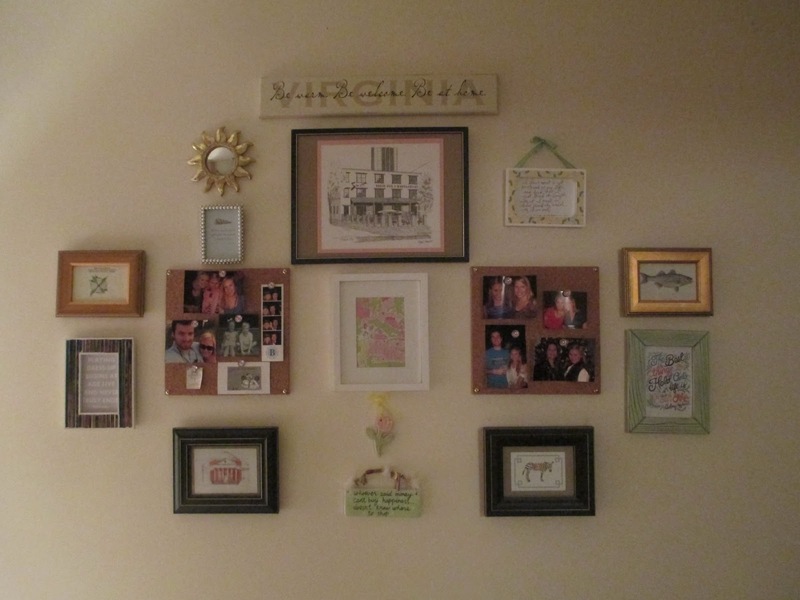 What are your favorite ways to add pizzazz to a room? 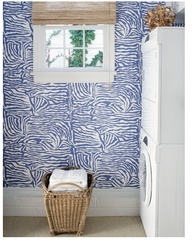 That zebra paper is my favorite- if they only had it in blue I would be making some wall art for the nursery! Love your framed zebra card, and I would have never thought of the blue zebra but it looks great! The first and last picture from your inspiration boards are my FAVORITE! I also love that wrapping paper--seriously amazing! Oh my goodness I love everything! A touch of zebra can make a room look so classy. And that wrapping paper is fantastic! I have those notecards too! 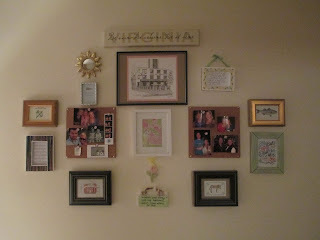 What a great idea to frame them. I also have the matching ipad case and love it. Please tell me that your tacky zebra coat had a hot pink faux satin lining. Because if so, I had the same one. Ugh, so embarrassing in retrospect. 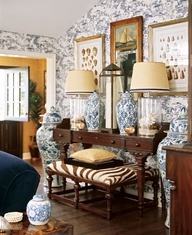 I love the blue zebra wallpaper and chairs! So cute. I think a touch of zebra is great, but yes definitely must be used in moderation haha. All the photos you chose work perfectly! Cute pictures :) My bathroom towels are brown and cream zebra print, and I love them! I have always liked zebra in moderation paired with particular colors. I think I have grown even more fond of it after this post! The zebra rugs and chairs.. to die for! 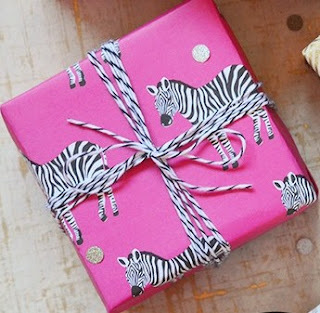 ..and that wrapping paper, so cute! Pretty, pretty! I always love the Scalamandre zebra print! Zebra is cute. I like it. I love a good zebra! My favorite of yours is that blue zebra wallpaper. It was a perfect weekend to be stuck at home. Hope you're having a fabulous week! 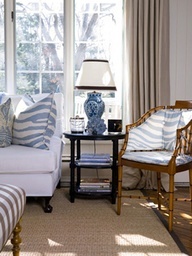 I love the blue zebra fabric on the chairs, the pillows, everything. I hope you still have a great weekend!